Welcome to the Musculoskeletal Elf! This is the first of many regular articles that we plan to publish on this website; highlighting reliable musculoskeletal research and guidance for health and social care professionals. Our first few blogs will have relevance to the London 2012 summer Olympic Games and Paralympic Games taking place just now. Well done Team GB on success so far in cycling, equestrian, gymnastics and swimming!!. 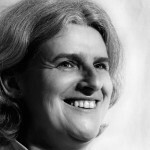 You can find out more about our aims and the people behind the site by visiting our About page. We look forward to hearing from you soon so send us your views on this and forthcoming articles (using the comment form at the foot of this page) and become part of the Musculoskeletal Elf community. What types of injuries could Team GB medical team expect to see in our Olympic runners? What disappointing news last week that Paula Radcliffe, one of the greatest female distance runners, has had to withdraw from the London 2012 summer Olympic games due to osteoarthritis in her foot. With the athletics about to start I wondered what types of injuries the Team GB medical team could expect to see in our Olympic runners? Having been a decent club runner in my youth, but now quite definitely a veteran social jogger on the Elf’s woodland paths, I have suffered from one or two injuries myself! It must also have been an issue for the international team of authors of a systematic review, published in Sports Medicine, of studies on the incidence and prevalence of the main specific running-related musculoskeletal injuries (RRMIs). They searched electronic databases up to October 2011 with no limits on language of publication. Studies that reported only the type of injury, anatomical region or incomplete data that precluded interpretation of the incidence or prevalence rates of RRMIs were excluded. They included eight studies involving approximately 3500 runners. And assessed risk of bias. They performed separate analysis for ultra-marathoners. plantar fasciitis (incidence ranging from 4.5% to 10.0%; prevalence ranging from 5.2% to 17.5%). patellofemoral syndrome (prevalence ranging from 7.4% to 15.6%). Here is a quick reminder for those confused by the difference between incidence and prevalence. Incidence is a measure of the risk of developing a new injury within a specified period of time, whereas prevalence is a measure of the total number of cases of the injury in a population. Thus, incidence conveys information about the risk of experiencing the injury, whereas prevalence indicates how widespread the injury is in a population. This systematic review provides evidence that medial tibia stress syndrome, achilles tendinopathy and plantar fasciitis were the main general running related musculoskeletal injuries (RRMIs), while achilles tendinopathy and patellofemoral syndrome were the most common RRMIs for runners who participated in ultra-marathon races. In general, the articles had moderate risk of bias and only one fulfilled less than half of the quality criteria. The Scottish Government’s Physical Activity Champion, Dr Andrew Murray is a great ultra-marathon runner he completed 2,664 miles from John O’ Groats to the Sahara in just 78 days. So it appears that Paula Radcliffe is unlucky to have developed osteoarthritis in her foot, however she has had her fair share of injuries in the past. Our Scottish Government’s Physical Activity Champion, Dr Andrew Murray, also GP, is a great ultra-marthon runner. 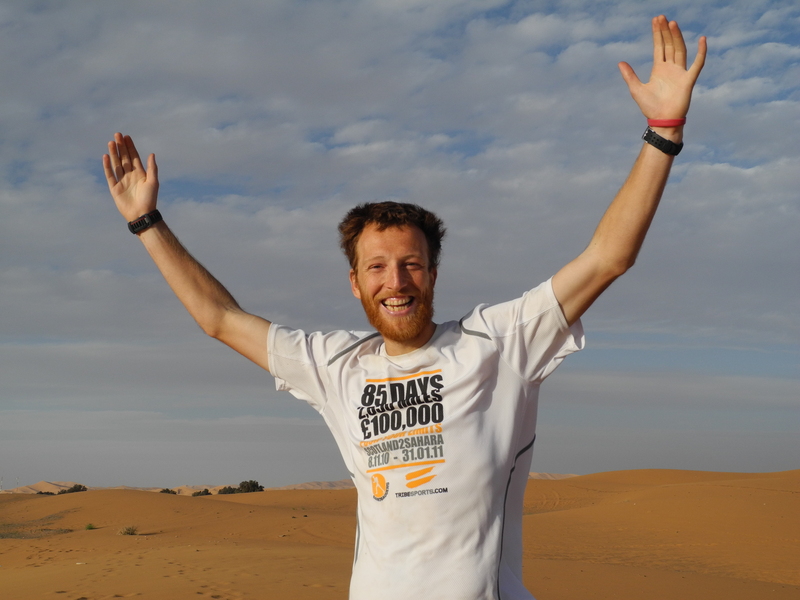 He has run 2,664 miles from John O’ Groats to the Sahara in just 78 days, you can read his book about his journey. He also recently won the North Pole Marathon. Ultra-marathon running is also a very popular international activity with its own website. If you are a runner NHS Choices list their view of the 5 most common running injuries and how to spot the symptoms and what to do if you have them, including when to get medical advice. They also provide a video on how to avoid running injuries. Do you treat these conditions in runners? What is your view on this review, will it impact on your clinical practice? 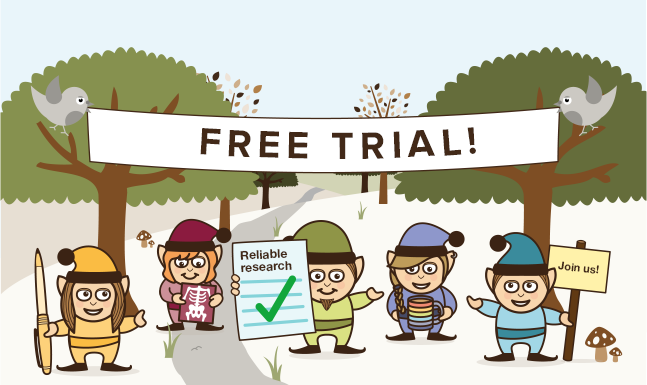 Send us your views on this blog and become part of the Musculoskeletal Elf community. 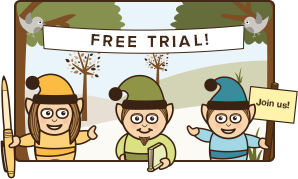 Thanks Elf – elf-ful reminder about incidence and prevalence. Interesting from a service planning perspective to consider them together: high incidence but low prevalence suggests acute problems that resolve; low incidence but high prevalence means not many people getting it but problem accumulates in the population; high incidence and high prevalence means eek! from a resource perspective. Thank you Derek for your rapid response and for giving some helpful views on service planning. Let’s hope that we have a low incidence of injuries in Team GB. I’m looking forward to the start of the athletics this week. A useful review and topical with the Games getting into full flow. Im a cycling fan and just gutted for Mark Cavendish after the road race went so disappointingly, showed what a fickle team event road racing really is! This review certainly gives food for thought and I wondered how the incidences would maybe relate to the envelope of function theory in the case of the less disciplined or regular runners in comparison to elite athletes in terms of tissue overload and stress? We certainly see these problems in NHS msk services and this review highlights the need for therapists to educate people on training regimes which are tailored to avoid overload and stress in order for them to continue to enjoy their sport. As Derek quite rightly points out, high incidence, low prevalence indicates conditions which resolve so physio services need to think about quality of advice, training and rehab to keep the incidence figures down. With physio waits as they are and services straining, quite often the resolving conditions often dont get as far as consultation for the very reason that they get better and percieve that they dont need it …. which is hopefully where NHS Choices and NHS MSK zone come into their own in delivering high quality information to interested people. Thanks Janie. 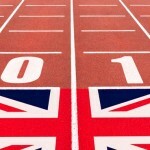 Follow us for more London 2012 topics, we will post each Monday, Wednesday and Friday. I hope that the athletes don’t have an ‘NHS wait’ for physio! Some of the Team GB medical team are friends of the musculoskeletal elf, so a big hello to you guys, you are doing a great job. And congratulations to Team GB, Bradley Wiggins for GOLD in the men’s Individual Time Trial Road Cycling and Heather Stanning and Helen Glover winning GOLD in the women’s Pair Rowing. Thanks for mentioning NHS24 MSK zone. I was there today and had a sneak preview of their new app. Cheers MSK Elf for starting off with the Olympics. I am on AL and have been glued to the TV (BBC telecasting live sports on 23 glorious channels) and it made me thing about my own level of physical activity watching the Olympics. I was thinking about the classic ‘nature’ vs. ‘nurture’ argument which is a taboo for many professional coaches who may state that it’s all upto training, diet etc. However, 3/4ths of all long distance medals are won by Kenyans, Ethiopians or other eastern African athlete and they train in not the best of conditions compared to our athletes and they do have RRMI’s but the impact on our athletes seemed to be more than them (subjective claim on my part). Roger Bannister once said that brain not the heart or lungs is the most critical organ however I think it is more than ‘fire in the belly’ and there may be cultural and ethnic reaons for the incidence an prevalence on these injuries. In terms of clinical practice, I am interested in the type of advice we give athletes in terms of warm up? Most warm up involves some sort of stretching along with other exercises and there is some evidence that stretching doesn’t help in eccentric muscle activity, and could mask the pre-injury signal. NHS choices website says the ‘jury is still out on stretching’ however in practice how many of us teach stretching during gentle warm up? The most famous above 70 years long distance runner Ed Whitlock claimed that he never did stretch…’ “I get the greatest return on my time by piling on miles,” he says. “I don’t want to dump on stretching. We all need to find our own way. But you can do too much and get injured.” Hmmmm….may be I need to reflect and read on this topic more! Hi Shiv I have been hard at work in the woodland today and haven’t seen much TV but have been catching up briefly on twitter and Team GB are just warming up now. The athletics begin in a few days and so we can checkout your predictions. I’m glad you mentioned warm-up as its a bit chilly for August here in Scotland. Check out our blog on Friday for warm-ups and injury prevention. I’m off for a quick stretch as I’m in danger of becoming chair shape! Just moving on from the issues of incidence and prevalance. My experience of these injuries are that my patients have had a volume change that has been too rapid for their bodies to cope with hence they break down. The three areas often reflect a range of subtle biomechanical problems which are jumped on but I think often prove red herrings and getting back to good old basic conditioning is where I end up sending my runners. Personally we overuse orthotics under the misapprehension that they are controlling some obscure (usally overpronatory) dysfunction when their history indicates that they have run quite happily without devices. Re the stretching aspect, I don’t think we delineate the purpose of stretching clearly enough for athletes. The question I ask myself is, what is the purpose of stretching for the athlete? Am I look for tissue length to reduce the impact on other structures; restore normal length, increase normal length, prepare for competition, to assist in the cool down to promote recovery etc. Promoting range of motion is not always good for an athlete on the basis of the theory of ‘relative flexibility’, that we move most where we are inherently more flexible and less where we are not! So for me, the decision to use stretching as a tool needs to address one or more of the questions above. 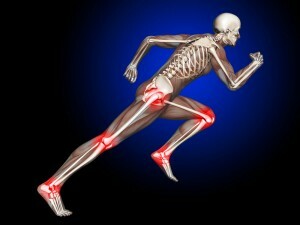 Thanks for this thoughts about running-related injuries! Early signs of osteoarthritis in the lower limbs in not that rare in (former) elite athletes, especially in the ankle and knee joints (Kujala in 1995 and 2003). Recently, it has been shown that the prevalence rate up to 80% for knee OA has been acknowledged among former professional football players. Risks factors for knee and ankle OA seem to be the cumulative exposure to intensive physical load in joints (analogously to the cumulative exposure to kneeling and crouching among construction workers), and the previous history of injuries. As noted, Paula Radcliffe has had her fair share of injuries in the past and her OA problems seems related to it, in addition to the years of running training. The question arises whether we can prevent of delay the early signs of OA (treating is not possible)! Well, attention has been especially given to running shoes and orthotics in order to optimize the ground forces exerted on the feet while running. What do you think about a proper running technique that reduce the joints biomechanical load, striving to prevent running injuries and enhance running economy? My colleague and I have developed an intervention focusing on the running technique, intervention being suitable for beginners or well-trained athletes, as well as patients with injuries. Publication of the paper is coming soon, as well as an implementation and efficacy study. Check “www.vintta.com” for more information!